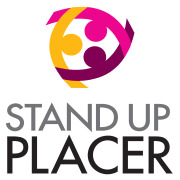 Stand Up Placer holds weekly support groups for survivors of sexual assault and intimate partner violence. During these group sessions, survivors talk about their past experiences and share their path towards recovery. Group facilitators supervise these groups, lead the discussion, and teach concepts that help survivors thrive after trauma and abuse. Our group facilitators don’t need to be expert teachers. They simply need to be able to lead a discussion and lend a supportive ear. This opportunity requires completion of our 68-hour crisis intervention training.